(May 2017) - Jan Lewis is one of 37 million migraine sufferers in North America; she is no stranger to the debilitating and nauseating pain that would seclude her to a dark, quiet and cool room for days. 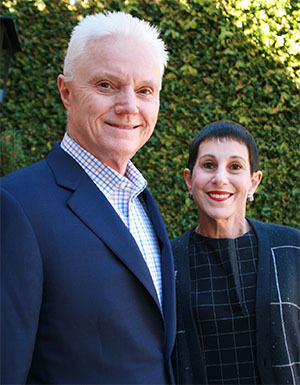 Because of the outstanding care Jan has received, her involvement in the Women’s Board of Barrow Neurological Foundation and her desire to help others, she and her husband Tom gifted $2 million though their family foundation, T.W. Lewis Foundation, to establish the Jan & Tom Lewis Migraine Treatment Program at Barrow Neurological Institute. At its height, this developing program will enable three times more migraine patients to be seen by the Barrow team, the development of multidisciplinary patient care options and the startup of research and clinical trials that will improve treatments and cures. As part of the Lewis’ transformational gift to establish the Jan & Tom Lewis Migraine Treatment Program, they will match dollar for dollar up to $500,000 to benefit migraine research. Support is needed to ensure that Barrow can make progress in discovering what causes migraines, how they can be detected earlier, and what the best course of treatment is for every person living with the pain and discomfort of migraines.